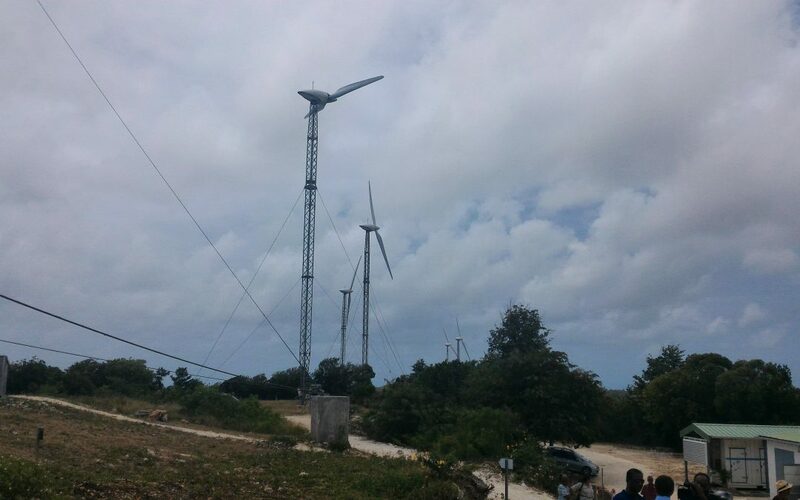 Last week, on Thursday 20th June 2016, Vergnet attended the official inauguration of the repowered Petite Place wind farm in Guadeloupe in the Caribbean. 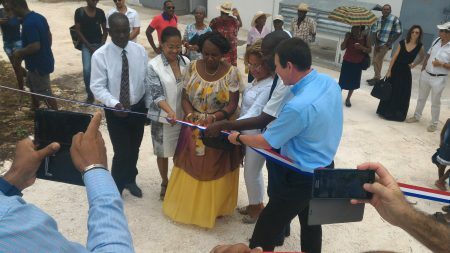 The inauguration took place on the island of Marie-Galante where the wind farm was commissioned in January 2016 and consists of nine Vergnet GEV MP wind turbines. The 2,475 MW of energy generated meets the electricity needs of more than 3,300 inhabitants. Vergnet joined partners and officials today including Jacques Billant (Prefect of Guadeloupe), Maguy Céligny (Vice-President of the Regional Council and President of the Energy Commission), Josette Borel-Lingertin (Council President Departmental Guadeloupe) and Maryse Etzol (President of the Community of Municipalities of Marie-Galante). Vergnet is an established partner of choice in the Guadeloupe region due to its track record in delivering adaptable technology to suit cyclonic conditions and having worked in the area since 1993 with the region’s local electrical authorities. Vergnet Caraibes is a permanent subsidiary of Vergnet based in Guadeloupe. The subsidiary provides ongoing support and assistance to ensure the wind farms installed by Vergnet and its partners in the Caribbean area are fully available. The overall number of wind turbines installed by Vergnet in Guadeloupe has now reached 237, highlighting our continued commitment to powering Guadeloupe with clean energy. Vergnet’s GEV MP wind turbines are ideally suited to the Caribbean region and for additional fuel and cost savings can be easily integrated with our patented Hybrid Wizard™ to also ensure a consistent electricity supply. More information on Vergnet’s wind energy solutions, along with solar, hybrid and PV solutions, can be founded by exploring the new Vergnet global website. We also invite you to connect with us on our new global Twitter and LinkedIn pages to keep up to date with Vergnet news.